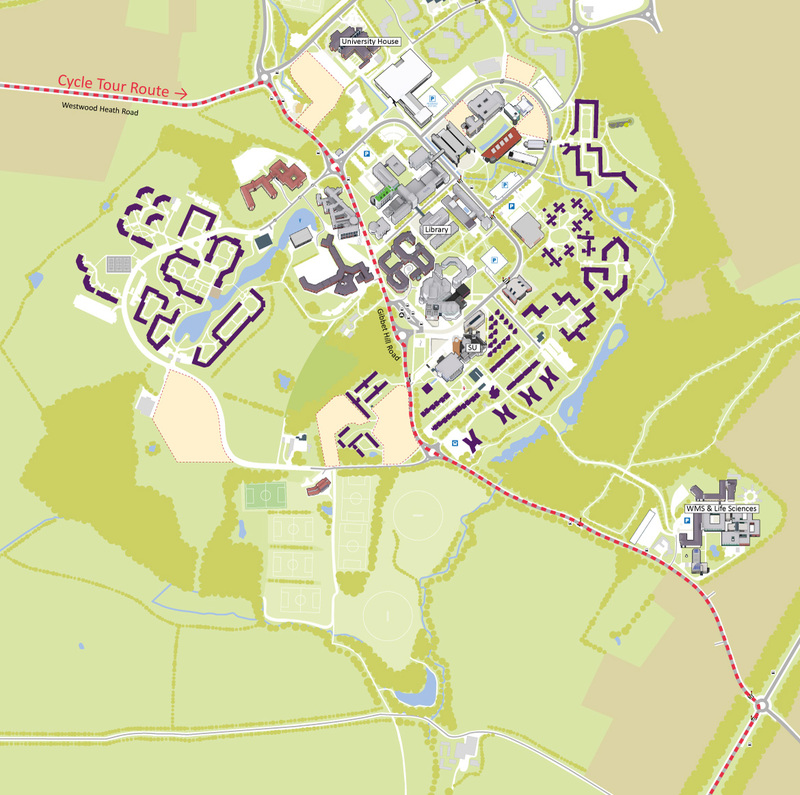 For the first time ever, The Men’s Cycle Tour (Tour of Britain) will pass through the University of Warwick campus and by our Wellesbourne Campus on Wednesday 5 September. 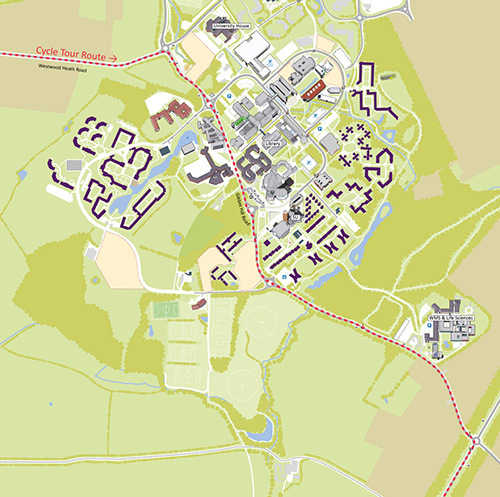 The cyclists will approach campus from Westwood Heath Road, travel up Gibbet Hill Road and head out onto Kenilworth Road in the morning. This is the first time the route has come to the county. The route for stage 4 will start in Nuneaton and end in Leamington Spa. We expect the race to come through campus between 11.30am - 12 noon on Wednesday 5 September. See the full route and find out more on the Men’s Tour website. We'll add info to this page as we get more detail - so why not set a 'notify' (top right of the page) to stay updated? Estates are looking for volunteers for the Cycle Tour to help marshal the route along Gibbet Hill Road. Find out how you can volunteer. The Campus Shuttlebus A and B services will be suspended on the day while the closure of Gibbet Hill Road is in effect. Both will recommence afterwards, subject to traffic conditions. If you’re on campus on 5 September, enjoy the excitement of the race by watching it as it comes along Gibbet Hill Road in the morning. 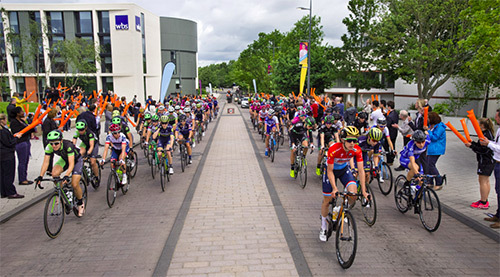 There was a great atmosphere along the road at the Women's Tour earlier this year - we look forward to seeing you there! With the race due to come through campus between 11:30am and 12 noon, there will be some delays for cars and public transport leaving campus at that time as the rolling road block will prevent traffic coming onto Gibbet Hill Road. Traffic will not be prevented from entering campus. The tour organisers have provided estimated route timings on their website. If you have visitors coming to campus or have an event planned on this day, please share this information with your relevant contacts so they can factor it into their travel plans for the day. The Parade in Leamington will not be closed this year as it has been for cycle tours in previous years. If travelling to campus, please make sure you set off earlier than you would usually – there will be delays to all travel, including bus services while the race is in progress as it will affect roads all over the local region. Please do bear this in mind when you are planning your journey to and from campus on 5 September and allow plenty of time to get to campus. 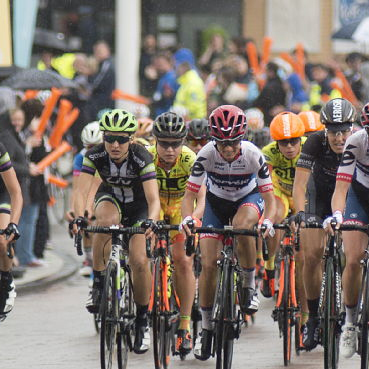 There is also likely to be more disruption to roads around the Leamington area where the race will end and we will update information on this as it is confirmed. We're aware that there are a small number of people re-sitting exams on 5 September. The Exams team will be in touch directly with those affected.